I am the happiest man in the world at this moment, said Stefanos Tsitsipas after his victory over Roger Federer at the fourth round of the Australian open on Sunday. What I am experiencing now is unbelievable, I can’t believe it, that we were here in the court and I won him. It is a dream that became true. Roger is a legend for our sport. I totally respect him. He is my idol since I was six years-old. What I am experiencing is indescribable” said 20-year-old Tsitsipas. 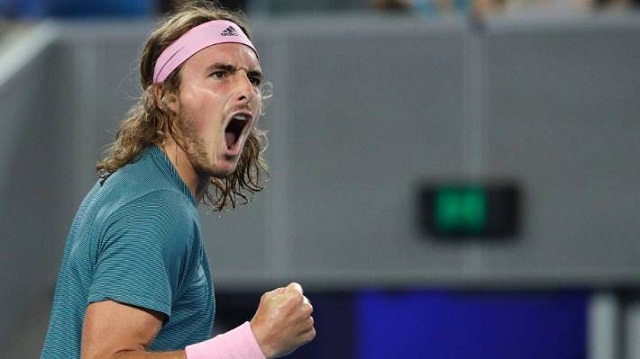 Greek tennis player Stefanos Tsitsipas No.14 seed defeated Roger Federer No.3 seed 6-7, 7-6, 7-5, 7-6 at the Australian Open at the men’s single fourth round and reached the quarterfinals of a Grand Slam for the first time in his career. The 20-year-old No.14 seed will now face Roberto Bautista Agut for a place in the semifinals after the Spaniard knocked out last year’s other finalist, Marin Cilic.